Day 1: Drive from Cape Town on the N1 to Bloemfontein. On any long trip there will always be one day that you need to put distance behind you, and this is that day. Overnight Bloemfontein. Day 2,3,4: Travel via Verkeerdevlei, Ficksburg, Clarens and through Golden Gate National Park on to Harrismith. If you have not stayed at Golden Gate before, this would definitely need to be a stop-over. Overnight Harrismith. Spend a few days in this area. Day 5: From Harrismith on the R722 past Verkykerskop, Ingogo and past Snowys for biltong and on to Ermelo where we had a wonderful stay with family. Day 6: Ermelo to Bloemhof via Standerton, Frankfort, Kroonstad, Hoopstad (with one of the best Pick&Pay stores!) on to Bloemhof. 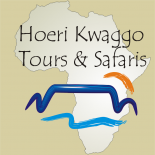 Day 7: Bloemhof – Witsand Nature Reserve via Kimberley. Day 8, 9, 10: Relax at Witsand. Day 11: Witsand to Loxton via Prieska, van Wyksvlei and Carnarvon. Overnight Loxton. Day 12, 13 and 14: Loxton to Karoo National Park outside Beaufort West. Day 15: Beaufort West – Cape Town, via Ceres. Little gems – the road less travelled.